April 22nd, 2008: Only three days until the start of the Nissan Qashqai Challenge – series 2. The stage is set for the world’s best mountain bike freeriders to hit major European cities in the biggest freeride series of the year. 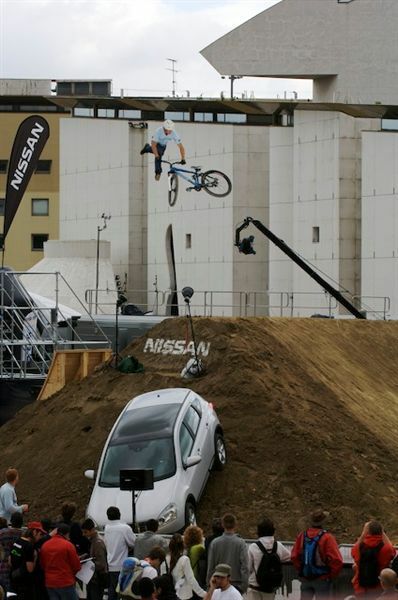 Building on last year’s success, the second edition of the Nissan Qashqai Challenge has incorporated rider feedback and is set to be one of the biggest expositions in the sport’s history. 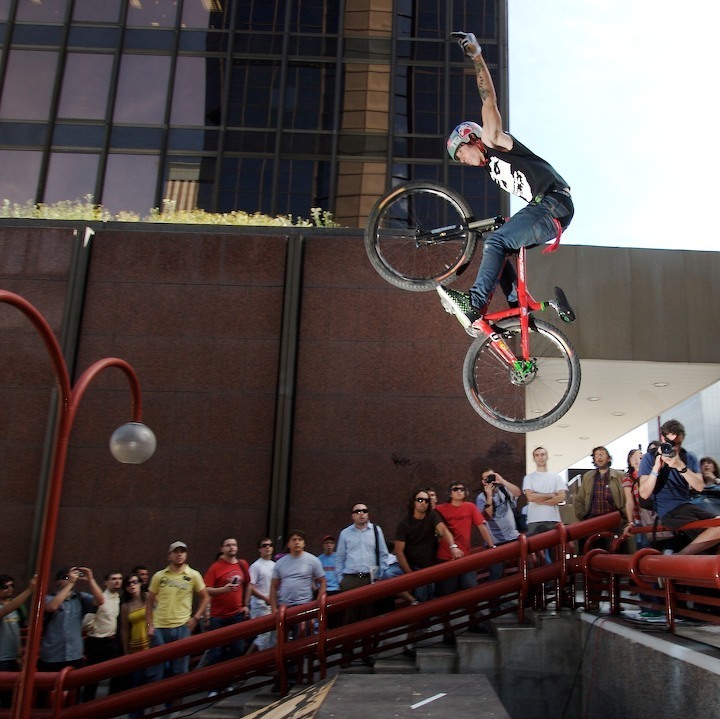 Along with the Top 15 riders from last year’s series – including superstars like Andreu Lacondguy, Paul Basagoitia, Ben Boyko, Greg Watts and Lance McDermott – the first two Nissan Qashqai Challenge Open events in Milan and Madrid will give 40 young guns the chance to battle for 10 slots in the final Challenge events. 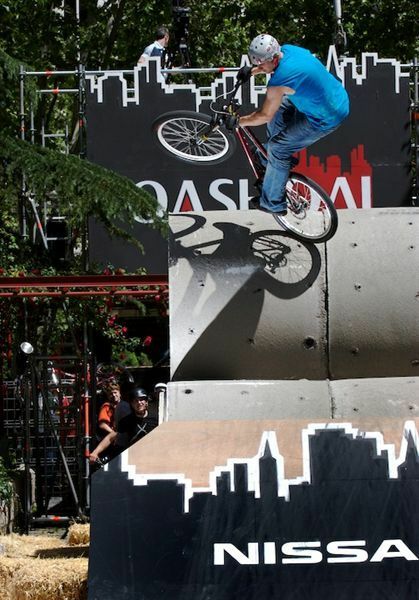 In the final Nissan Qashqai Challenge events, the world’s best 25 riders will compete in Europe’s most beautiful cities for the overall “Most Urbanproof” title and the sport’s biggest prize purse. The 40 riders competing in the Nissan Qashqai Challenge Open at Milan’s Parco Sempione on April 25th/26th, will be first to fuel the judges, media and spectators. In Madrid the notorious “Estadio Bernabau” is to host the second NQC Open on May 2nd/3rd. World’s international press & broadcasters are following the tour to show their huge support for the riders and the Nissan Qashqai Challenge. 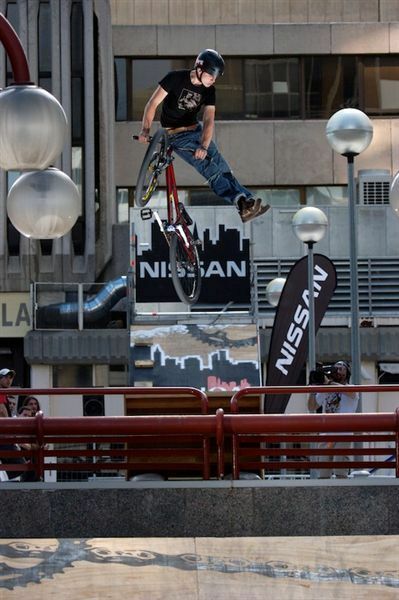 At the same moment, Nissan is proud to announce, that Freeride Entertainment, a Canada based production company specializing in High Definition mountain bike movies, will cover the series. for all the latest news about the upcoming series.